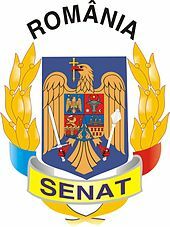 The Parliament of Romania is made up of two parts: the Chamber of Deputies and the Senate. Under 2003, they had identical powers, and after 2003, laws still have to be approved by both parts in order to be passed into law, but in some matters, one part of the Parliament is superior to the others. This page was last changed on 25 February 2016, at 16:55.